Calling all fashionistas! Create a buzz about your upcoming line when you post the Dress Flyer before your runway show. 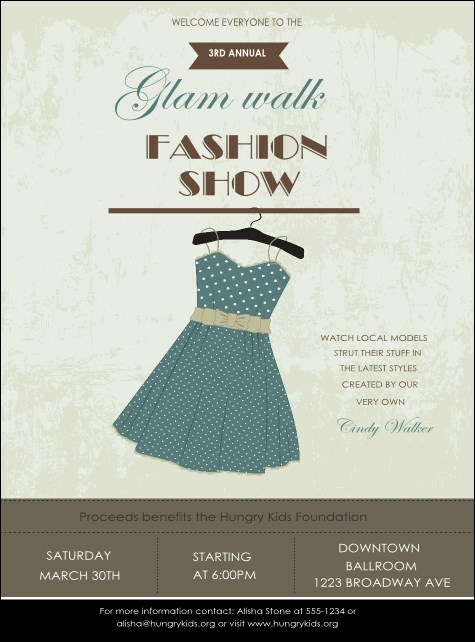 Featuring a sweet blue dress in the middle, this flyer template incorporates soft tones in this classic design. Complete the look with 21 lines for your event details.